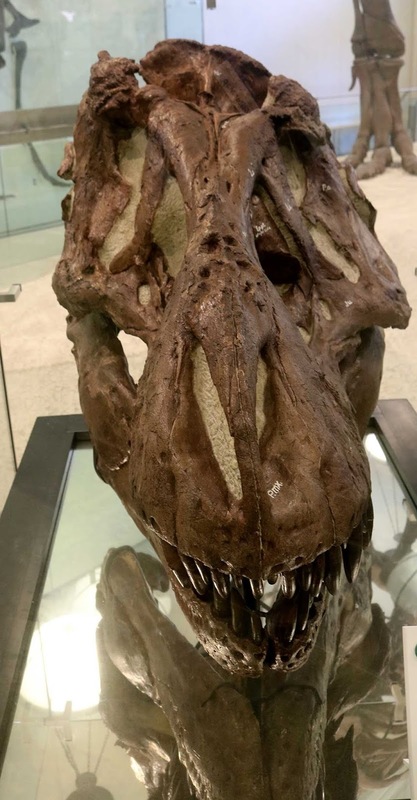 This image is of Tylosaurus proriger mosasaur skull fossil on display at Mace Brown Museum of Natural History (August 2017). It dates to the Campanian Age (about 85 million years ago), Late Cretaceous Period. 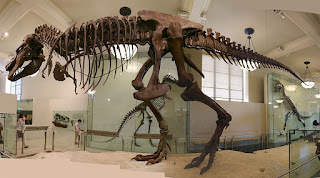 The fossil was found in the Niobrara Formation, Kansas, USA. 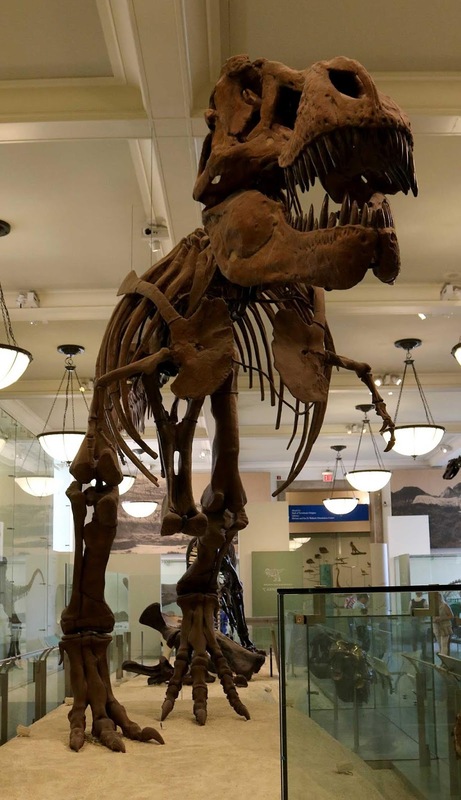 The Mace Brown Museum of Natural History is located at the College of Charleston, 202 Calhoun Street, 2nd Floor, Charleston, South Carolina 29424. 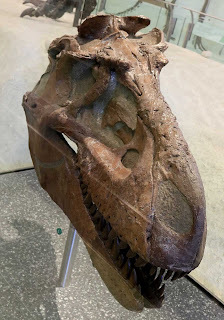 Albertosaurus libratus dinosaur skull fossil ("reptile of Alberta") displayed at the American Museum of Natural History in New York City, USA. It was found in 1913 at Red Deer River, Alberta, Canada by Barnum Brown and K. C. Kaisen. 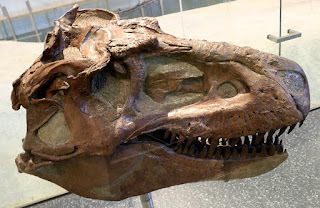 The fossil dates to the Late Cretaceous Period (75 million years ago). Tyrannosaurus rex dinosaur skull fossil ("tyrant reptile") displayed at the American Museum of Natural History in New York City, USA. It was found in 1908 at Big Dry Creek Montana, USA by Barnum Brown and K. C. Kaisen. The fossil dates to the Late Cretaceous Period (65 million years ago). This fossil was the first complete T. rex skull ever collected. Tyrannosaurus rex dinosaur fossil ("tyrant reptile") displayed at the American Museum of Natural History in New York City, USA. It was found in 1908 at Big Dry Creek Montana, USA by B. Brown and K. C. Kaisen. 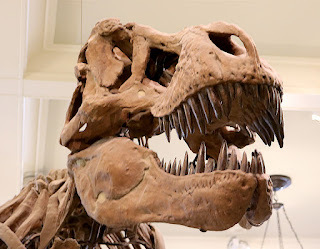 The fossil dates to the Late Cretaceous Period (65 million years ago). This fossil is one of the few real ones on display in the world.